A garden hose plays an important role in making gardening a pleasant and less strenuous task. Imagine watering a huge garden without it. It would be very tiring and cumbersome task. Carrying buckets of water to each and every of the garden and watering every plant the lawns would be a nightmare for everyone. Before you buy your garden hose, it is important to know the length you need to water every part of your yard with ease. If the source of water is further away from the garden then you need take into consideration that length too. Use a measuring tape and measure the distance between the tap and farthest point in your garden. If you are going to have pathways and hedges and flowerbeds then you may not be able to go across the garden. So, take a circuitous path to the far most corner of your yard. It is always good to have extra length in garden hose reel as it allows you extra room to maneuvre. Don’t get too much extra length as moving and storing long garden hoses is not all that easy without suitable storage solutions. If you need a very long one then it may be better to go for garden hose reel. There are many different types of reels that different garden manufacturers have come up with. There are manual and automatic winding reels. That is once the work of watering is done you can wind the reel back in by hand or with auto-winding reels, just push a button and it can goes back in. For heavy garden type, it is best for you to choose the one that comes with wheels. 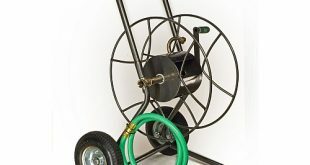 You can wheel the reel around and don’t have to carry it around as you water the plants. 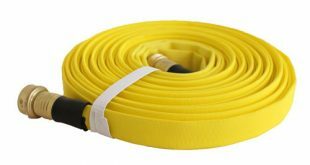 If carrying the heavy hose is not an option, nor is it feasible to wheel the equipment then go for the flat garden hose which can wound into a small space and storage is also easy. 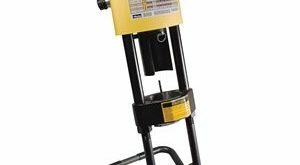 If water pressure is good this flat type equipment will inflate and assume the shape of a regular one. A coiled garden type is less expensive but storage and carrying them is a problem. There are many innovative solutions for storing garden hoses. There are special storage pots and containers with convenient hole for it to pulled out from. When not in use it goes into an attractive pot or storage cabinet that does not look out of place in a garden. 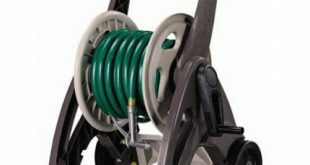 Garden hose can be connected to a variety of fittings like sprinklers, guns, nozzles and sprayers. The sprinklers are good for watering lawns and flower beds. The nozzles are good to get extra force to water bushes that are at a distance. You can also use the spray guns and nozzle spray attached to your garden hose to give your trees and bushes a good washing when they need them to make them look fresh and clean. 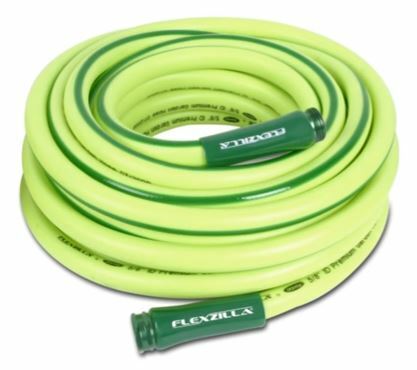 A garden hose is one of most important items that a gardener needs to keep his lawns and plants well-watered. 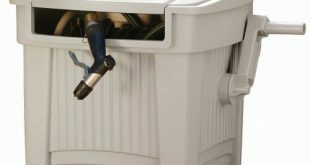 Without having one, he/she has to lug buckets of water to the garden and this can be a darn task for anyone to bear on. Also, without fittings the garden hose can not be optimally used. There are host of metallic and plastic fittings to perform a number of tasks which would otherwise be difficult to do. A sprinkler is one of the more useful accessories that can be attached with PVC garden hose fittings. The sprinkler attached at the end of the hose helps in effectively watering the flower beds and lawns. Another useful device that can be connected using garden hose fitting is the nozzle. With nozzle attached you can reach the far corners of the garden or lawn as the spray travels a longer distance with the nozzle. Also, it is useful when you need to reach higher heights for example to wash down trees or bushes. This kind of fitting is a very useful for connecting to a hose or other device that is few sizes bigger or smaller. When you need an extension or want to connect it to tap or fit it with other fittings the adapter is very useful. 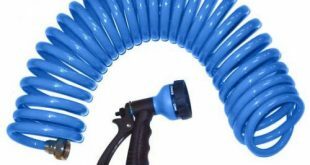 This is another garden hose accessory that is not only useful to spray water but also to play with kids, wash puppies and your car. The spray gun helps in controlling the water flow, the speed, the distance and to completely stop the water. A very useful accessory joined using a garden hose fitting the sprayer can stop the water flow without you having to walk back all the way the close the tap. A connector is a useful device when connecting two to more garden hoses or any other device that won’t go directly onto a hose. Usually used to connect pipes or devices of same size. The connectors are of slightly smaller size than the devices they connect. There are the two-way connectors which can be used to connect to two different pipes. There are 4-way connectors too. There are connectors for two hoses, hose and tap, hose and accessory and many more. Depending on need any of the several types of connectors can be used. When you a need a transition from bigger to smaller piping or vice versa then coupling is an useful garden hose fitting that makes the changeover smooth and simple. There are several types of couplings for different needs. Pick the one you need. With the right garden hose fittings you can make your life as gardener much more easy and fun. There is no frustrating leaks or loss of pressure as the fittings are snug fit. 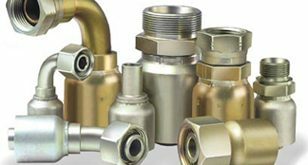 With the right couplings, adapters, connectors and other garden hose elbow fittings we can connect the required accessory to the hose enhancing its efficiency and make out job that much more easier and simpler.